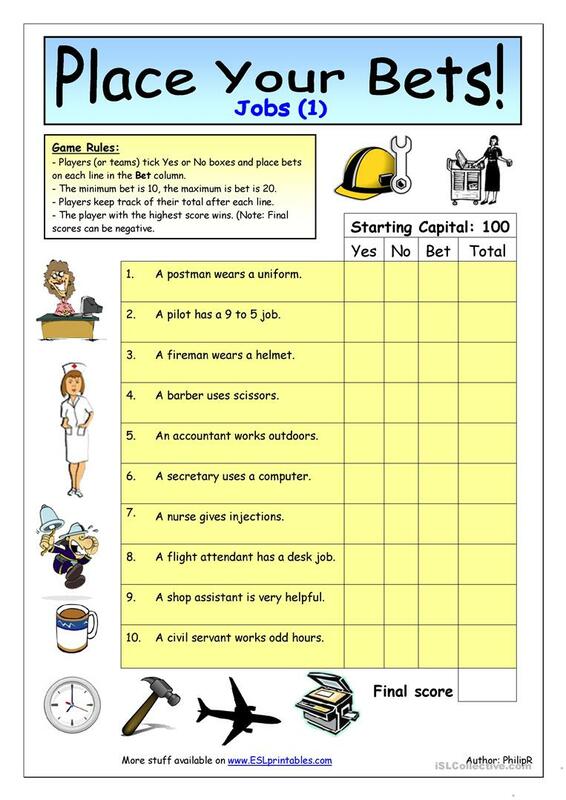 This game worksheet is a very enjoyable way of introducing, revising or reinforcing easy JOBS vocabulary. Students are asked to read 10 statements and guess if they are correct or incorrect (true or false). They bet fictional money on every statement and try to get the highest score. Addictive yet very useful. (This is not an original idea. Quite some time ago I used a similar ws from a photocopiable resource pack. I don´t have it anymore nor do I remember the title so I made some wss of my own.) Enjoy. This downloadable handout was created for high school students, elementary school students and adults at Elementary (A1) and Pre-intermediate (A2) level. 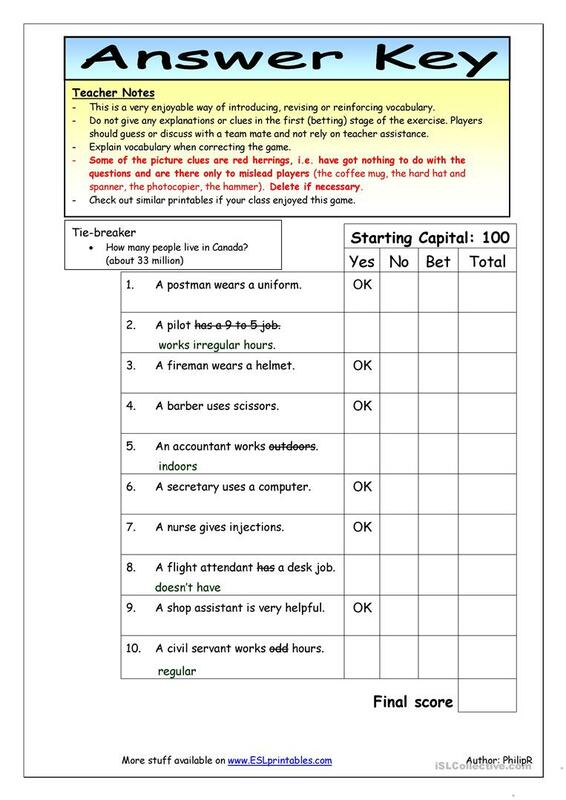 It can be used for improving your learners' Speaking and Reading skills. It features the theme of Jobs, work. It includes the answers, too.